ACCELYA KALE SOLUTIONS LIMITED - Service Provider of implementation services, analytics and consulting & business process re-engineering in Mumbai, Maharashtra. Airlines are always on the lookout for new opportunities, markets and business models to improve their revenues and profitability. But they often ignore sizable opportunities within their existing processes. Accelya’s Analytics & Consulting experts engage with airlines to unlock this hidden business potential across network planning, revenue management, sales and marketing, alliances and finance. 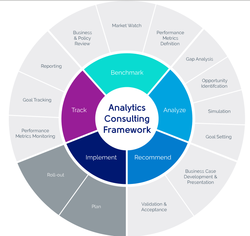 Using a proprietary framework, the Analytics Consulting Framework comprises five phases—Benchmark, Analyze, Recommend, Implement and Track—delivering fast positive impact on airlines’ revenue and profitability. This is a proven methodology and ensures timely and predictable outcomes for airlines. Sometimes, airlines don’t function under one framework. Every element, from ticketing to analytics to marketing, runs as its own team with its own systems. This makes it difficult to get a clear picture of your operations. 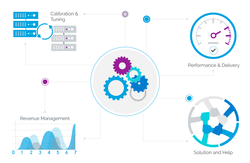 Reinvent your airlines’ processes with our business process re-engineering solutions. Our expert teams believe in creating a unified framework that drives airlines to become profit-making, cohesive organizations, while well-established processes can protect against future uncertainty. Accelya Managed Services also offers managed process outsourcing with our robust business process, service delivery, technology assets and highly trained team of airline-savvy revenue accountants. By: M/s Grasim Industries Ltd.